Perry Electric Services is a certified New Hampshire and Massachusetts EV Charger Installation specialist. 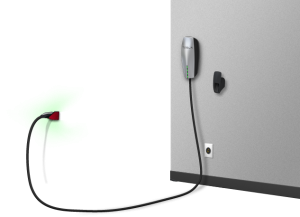 We offer free Electric Vehicle (EV) Charger Installation consultations. If you are using a traditional outlet (120 Volts) to charge you EV it can take up to 22 hours for a full charge. Installing our Level 2 Charger (240 Volts) will charge your vehicle in about half that time which will give you the freedom to charge at night and be ready in the morning. Please Contact Us today for details and a free quote. Copyright ©2019 Perry Electric Service. All rights reserved.